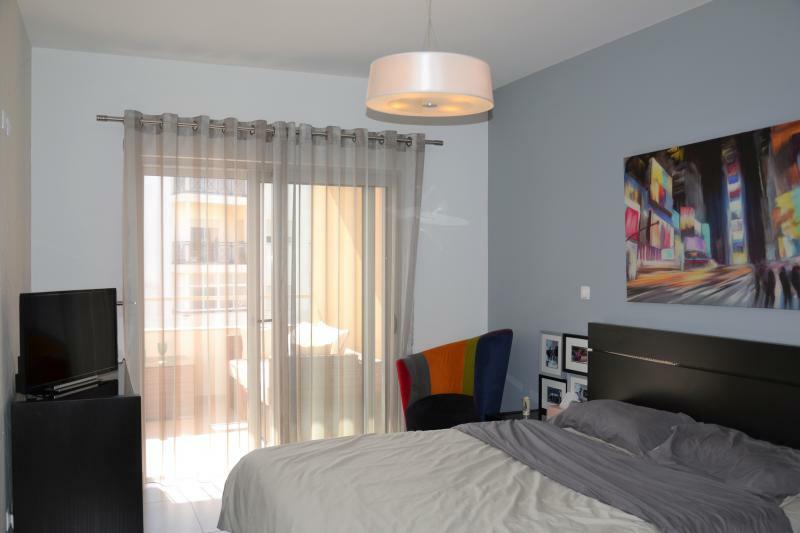 Modern and stylish apartment offering a high standard of accommodation within walking distance of Lagos centre. 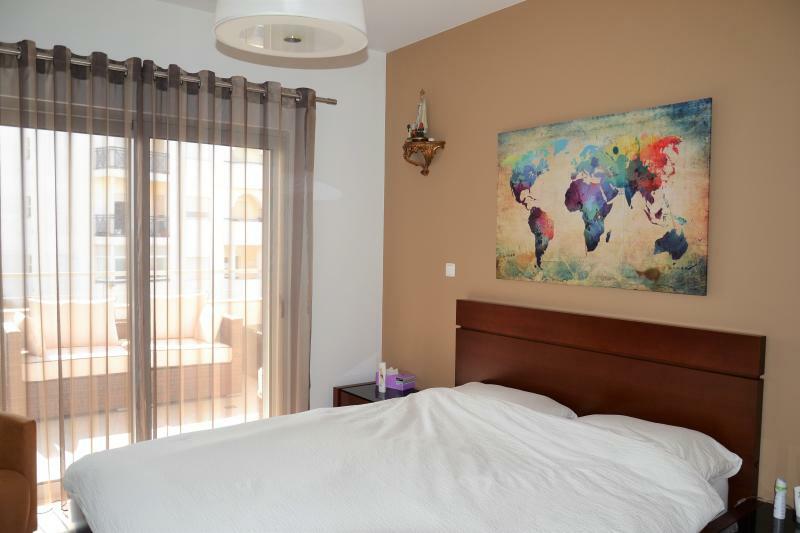 This modern and stylish second floor apartment offers a high standard of accommodation and is ideally located about 10 minutes' walk from the shops and restaurants of the historic centre of Lagos. The Marina and Beach are also easily accessible by foot. 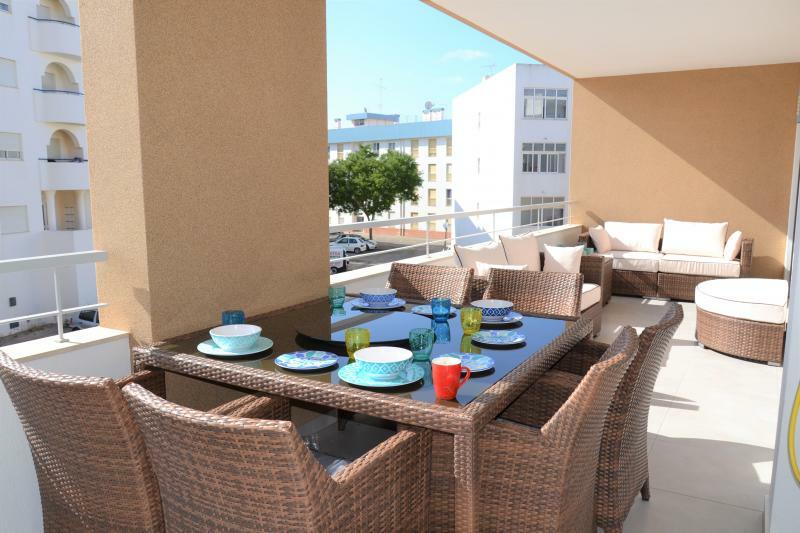 Living accommodation comprises of a spacious living and dining area. Sliding patio doors lead out to the large private terrace/patio area providing comfortable furniture and additional seating for either taking meals or simply just relaxing. 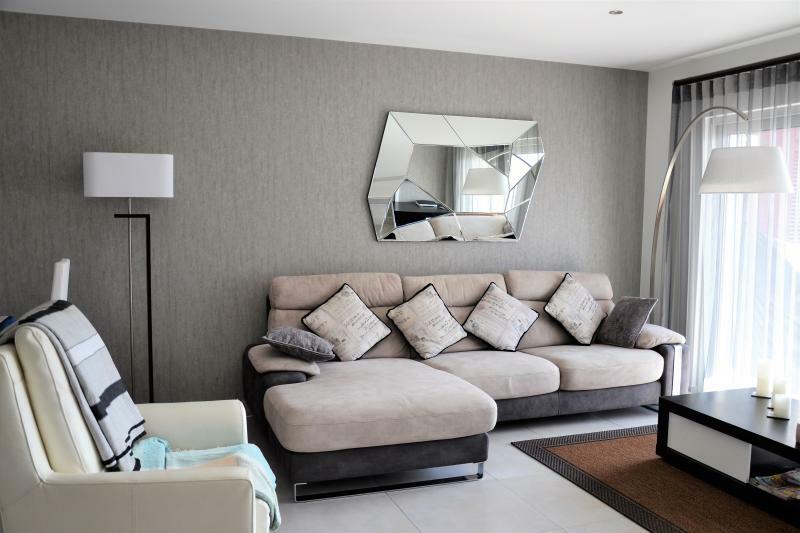 There are two double bedrooms, one with an en-suite bathroom and both have patio doors opening onto the terrace area. 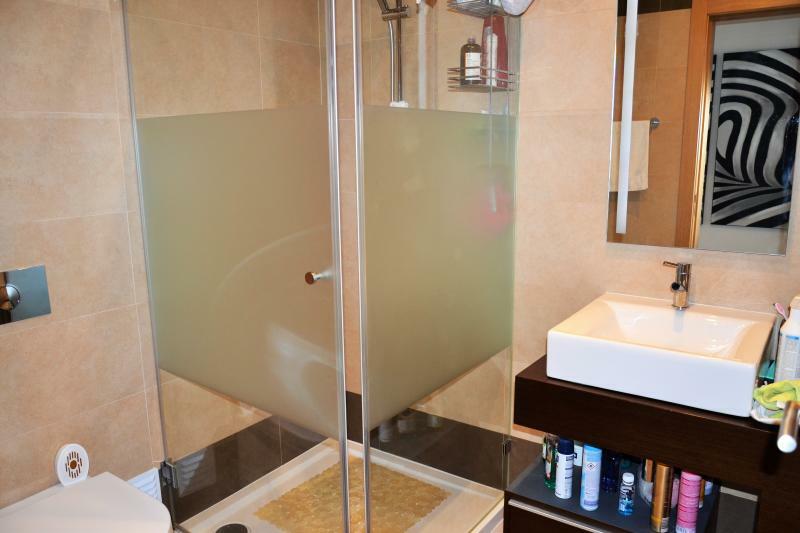 There is also a second bathroom with a shower. The living room and both bedrooms benefit from remote controlled air conditioning units which can also provide heating. 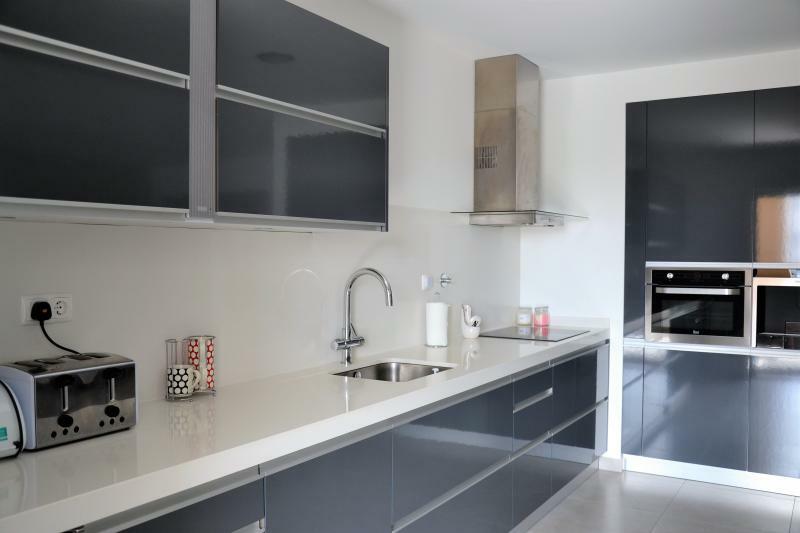 The kitchen is fully equipped with coffee machine, dishwasher, washing machine, microwave, built-in oven, ceramic hob and a fridge freezer. There is a communal pool, along with a separate children's pool and a gym is located in the apartment block for the use of guests. A dedicated underground parking space is available, as is additional off-street parking.